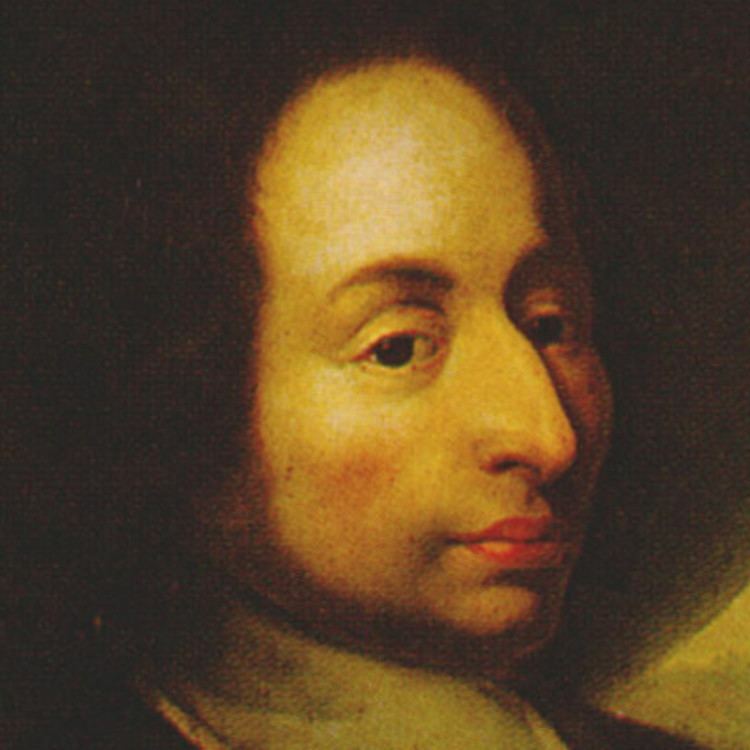 Blaise Pascal (; [blɛz paskal]; 19 June 1623 – 19 August 1662) was a French mathematician, physicist, inventor, writer and Catholic theologian. He was a child prodigy who was educated by his father, a tax collector in Rouen. 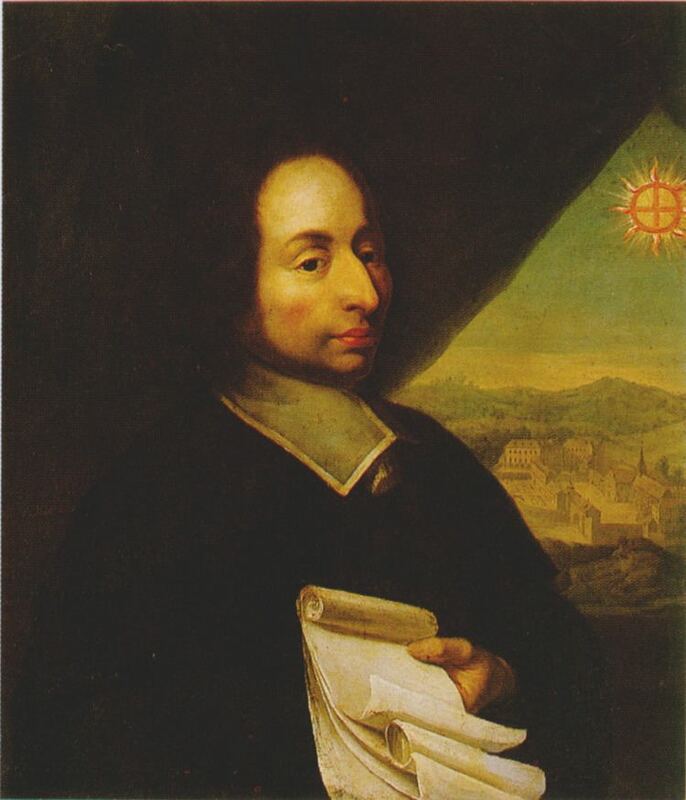 Pascal's earliest work was in the natural and applied sciences where he made important contributions to the study of fluids, and clarified the concepts of pressure and vacuum by generalising the work of Evangelista Torricelli. Pascal also wrote in defence of the scientific method. 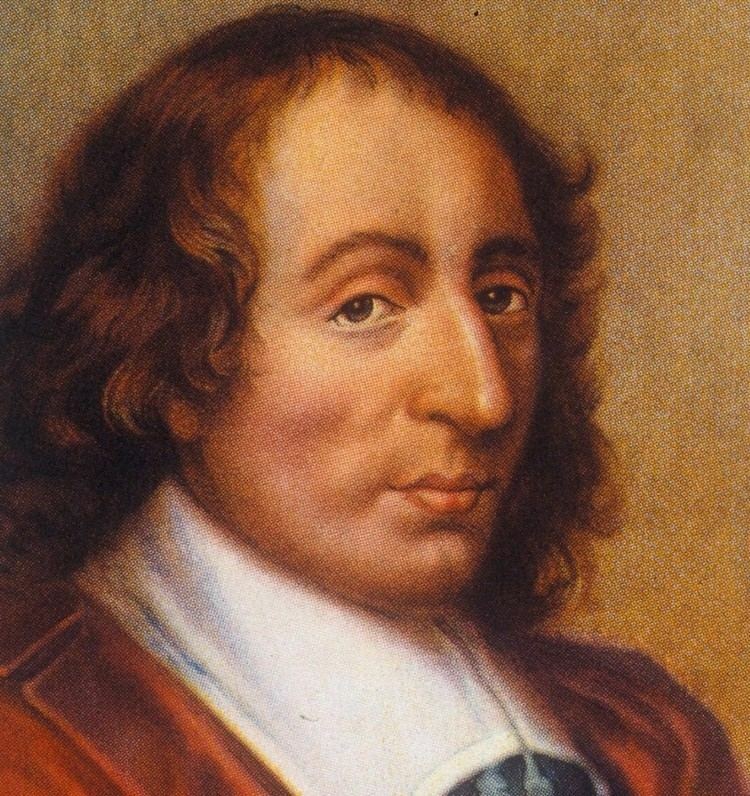 Pascal had poor health, especially after the age of 18, and he died just two months after his 39th birthday. In France at that time offices and positions could be—and were—bought and sold. In 1631 Étienne sold his position as second president of the Cour des Aides for 65,665 livres. The money was invested in a government bond which provided, if not a lavish, then certainly a comfortable income which allowed the Pascal family to move to, and enjoy, Paris. But in 1638 Richelieu, desperate for money to carry on the Thirty Years' War, defaulted on the government's bonds. 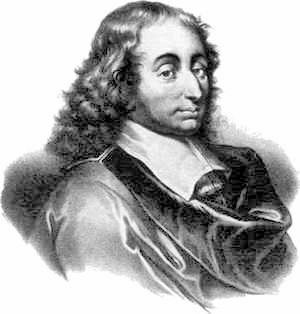 Suddenly Étienne Pascal's worth had dropped from nearly 66,000 livres to less than 7,300. In 1642, in an effort to ease his father's endless, exhausting calculations, and recalculations, of taxes owed and paid (into which work the young Pascal had been recruited), Pascal, not yet 19, constructed a mechanical calculator capable of addition and subtraction, called Pascal's calculator or the Pascaline. Of the eight Pascalines known to have survived, four are held by the Musée des Arts et Métiers in Paris and one more by the Zwinger museum in Dresden, Germany, exhibit two of his original mechanical calculators. Though these machines are pioneering forerunners to a further 400 years of development of mechanical methods of calculation, and in a sense to the later field of computer engineering, the calculator failed to be a great commercial success. Partly because it was still quite cumbersome to use in practice, but probably primarily because it was extraordinarily expensive, the Pascaline became little more than a toy, and a status symbol, for the very rich both in France and elsewhere in Europe. Pascal continued to make improvements to his design through the next decade, and he refers to some 50 machines that were built to his design. t m n = ( m + n ) ( m + n − 1 ) ⋯ ( m + 1 ) n ( n − 1 ) ⋯ 1 . 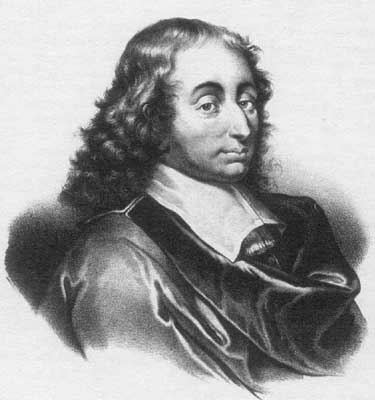 In 1654 he proved Pascal's identity relating the sums of the p-th powers of the first n positive integers for p = 0, 1, 2, …, k.
Following more experimentation in this vein, in 1647 Pascal produced Experiences nouvelles touchant le vide ("New experiments with the vacuum"), which detailed basic rules describing to what degree various liquids could be supported by air pressure. It also provided reasons why it was indeed a vacuum above the column of liquid in a barometer tube. This work was followed by Récit de la grande expérience de l’équilibre des liqueurs ("Account of the great experiment on equilibrium in liquids") published in 1648. In the winter of 1646, Pascal's 58-year-old father broke his hip when he slipped and fell on an icy street of Rouen; given the man's age and the state of medicine in the 17th century, a broken hip could be a very serious condition, perhaps even fatal. Rouen was home to two of the finest doctors in France: Monsieur Doctor Deslandes and Monsieur Doctor de La Bouteillerie. The elder Pascal "would not let anyone other than these men attend him...It was a good choice, for the old man survived and was able to walk again..." But treatment and rehabilitation took three months, during which time La Bouteillerie and Deslandes had become household guests. Both men were followers of Jean Guillebert, proponent of a splinter group from Catholic teaching known as Jansenism. This still fairly small sect was making surprising inroads into the French Catholic community at that time. It espoused rigorous Augustinism. Blaise spoke with the doctors frequently, and upon his successful treatment of Étienne, borrowed from them works by Jansenist authors. 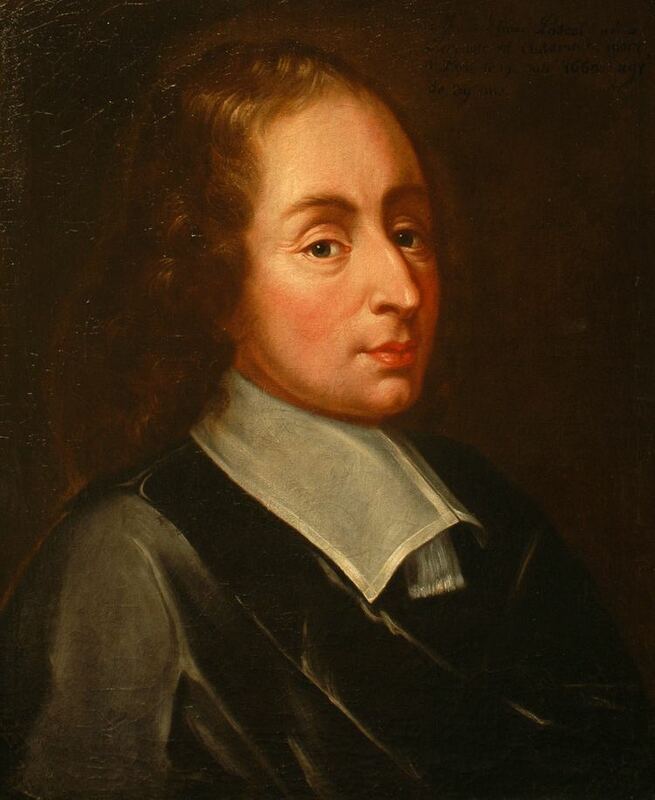 In this period, Pascal experienced a sort of "first conversion" and began to write on theological subjects in the course of the following year. 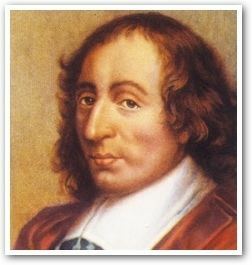 Pascal fell away from this initial religious engagement and experienced a few years of what some biographers have called his "worldly period" (1648–54). His father died in 1651 and left his inheritance to Pascal and Jacqueline, for whom Pascal acted as her conservator. Jacqueline announced that she would soon become a postulant in the Jansenist convent of Port-Royal. Pascal was deeply affected and very sad, not because of her choice, but because of his chronic poor health; he too needed her. On 23 November 1654, between 10:30 and 12:30 at night, Pascal had an intense religious vision and immediately recorded the experience in a brief note to himself which began: "Fire. God of Abraham, God of Isaac, God of Jacob, not of the philosophers and the scholars..." and concluded by quoting Psalm 119:16: "I will not forget thy word. Amen." He seems to have carefully sewn this document into his coat and always transferred it when he changed clothes; a servant discovered it only by chance after his death. This piece is now known as the Memorial. The story of the carriage accident as having led to the experience described in the Memorial is disputed by some scholars. His belief and religious commitment revitalized, Pascal visited the older of two convents at Port-Royal for a two-week retreat in January 1655. For the next four years, he regularly travelled between Port-Royal and Paris. It was at this point immediately after his conversion when he began writing his first major literary work on religion, the Provincial Letters. Pascal's Pensées is widely considered to be a masterpiece, and a landmark in French prose. When commenting on one particular section (Thought #72), Sainte-Beuve praised it as the finest pages in the French language. Will Durant hailed the Pensées as "the most eloquent book in French prose". 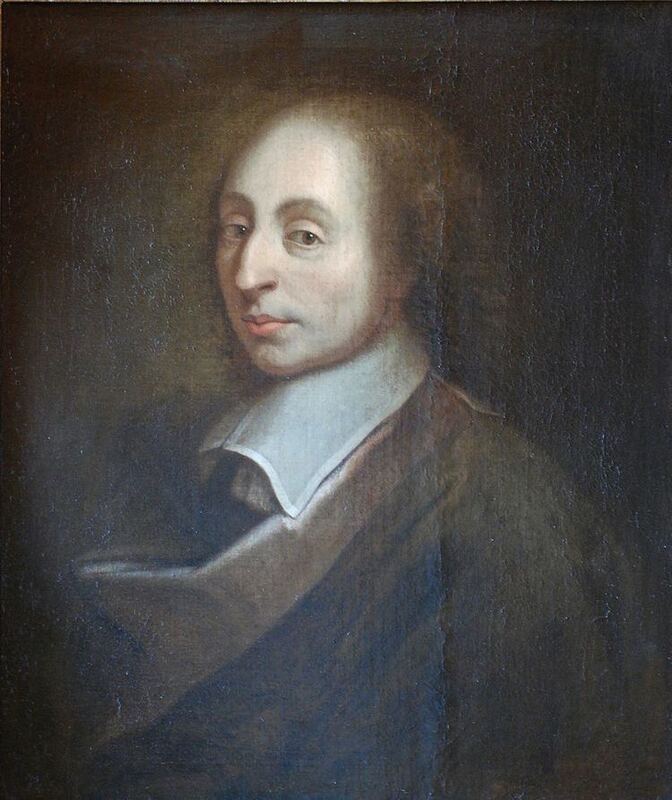 In the Pensées, Pascal surveys several philosophical paradoxes: infinity and nothing, faith and reason, soul and matter, death and life, meaning and vanity – seemingly arriving at no definitive conclusions besides humility, ignorance, and grace. Rolling these into one he develops, known as the Pascal's Wager. Louis XIV suppressed the Jansenist movement at Port-Royal in 1661. In response, Pascal wrote one of his final works, Écrit sur la signature du formulaire ("Writ on the Signing of the Form"), exhorting the Jansenists not to give in. Later that year, his sister Jacqueline died, which convinced Pascal to cease his polemics on Jansenism. Pascal's last major achievement, returning to his mechanical genius, was inaugurating perhaps the first bus line, moving passengers within Paris in a carriage with many seats. In 2014 Nvidia announced its new Pascal microarchitecture, which is named for Pascal. The first graphics cards featuring Pascal were released in 2016.